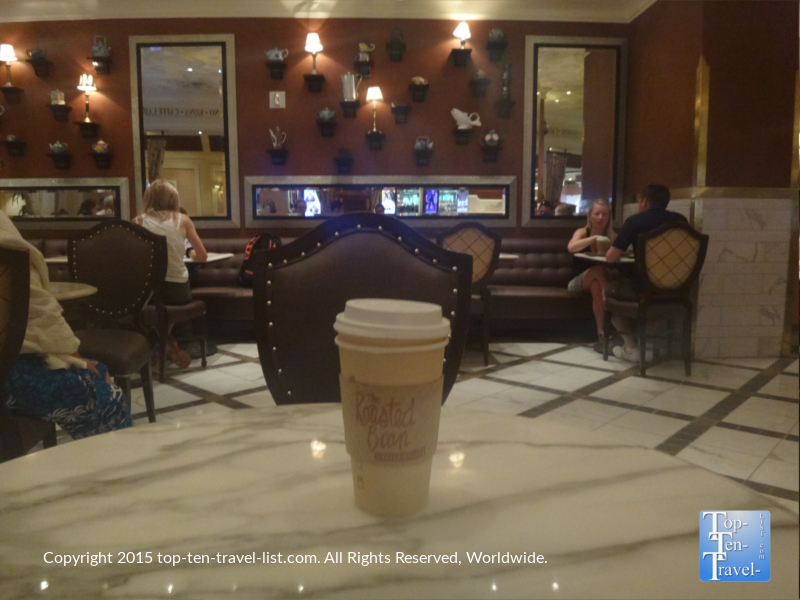 The Center of the Vegas Strip: The Beautiful Mirage Resort & Casino - Top Ten Travel Blog | Our experiences traveling throughout the US. 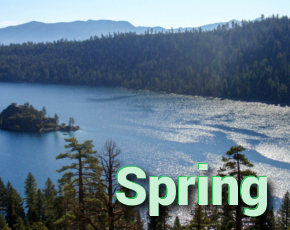 Planning a vacation to Las Vegas can be an overwhelming experience due to the shear number of options available, with trip planning consisting of choosing the right hotel, restaurants, shows, and attractions. 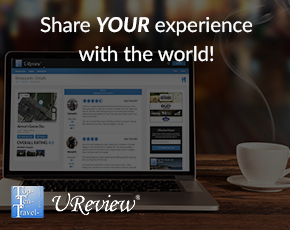 Finding the perfect hotel is easy once you know exactly what you are looking for in your Vegas experience. For those looking for an excellent casino resort that is moderately priced, has wonderful amenities, a fabulous pool, and is centrally located, look no further than The Mirage. 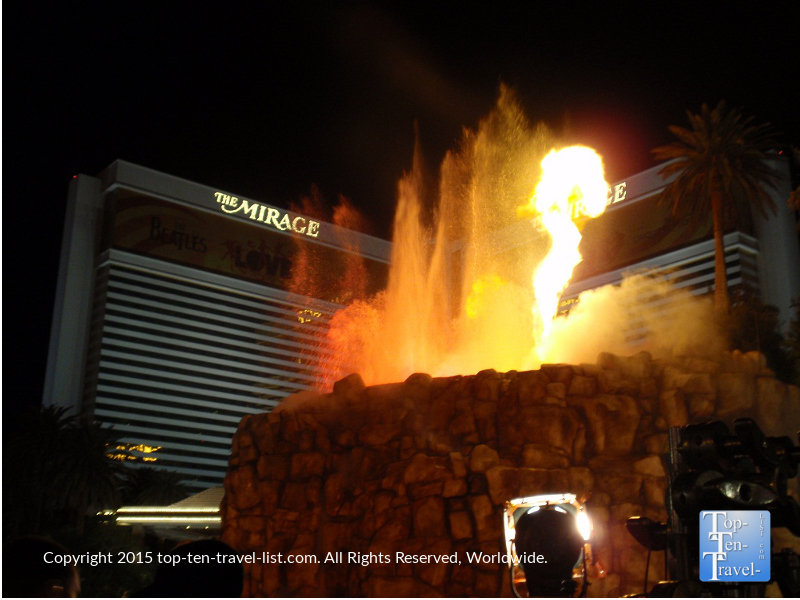 While much cheaper than high end options like The Bellagio and The Wynn, The Mirage is still a classy option with many amenities of its’ own, and a much better choice than other 4-4.5 star hotels on the Strip. 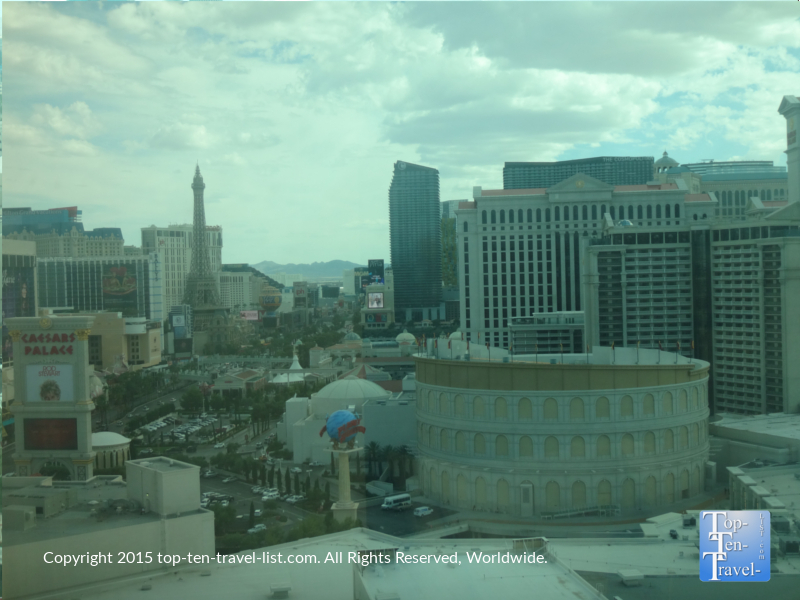 Being located right in the center of the Strip has its’ advantages: from the Mirage you can easily walk or take a monorail to hotels/casinos on both ends. 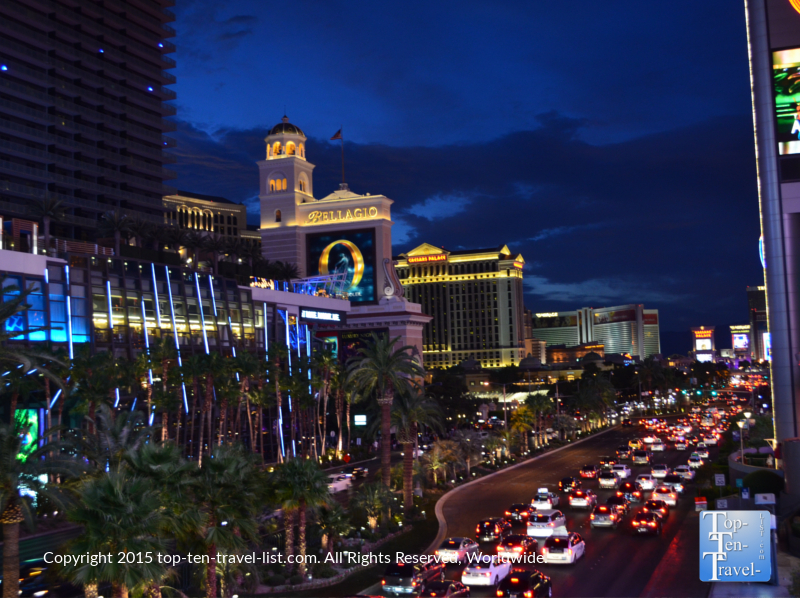 Be sure to take a few photos of the strip at night (by the escalators near Planet Hollywood): the views are breathtaking! For the small price tag, The Mirage offers a great number of amenities including rooms with views of The Strip, a lush pool area complete with waterfalls and tropical landscaping, numerous restaurants and bars, a salon and spa, a retail shopping section, several top end shows, and of course, the casino. Several great attractions you will find on-site include the famous Aquarium at the check in desk, Siegfried and Roy’s Secret Garden & Dolphin Habitat, a beautiful tropical atrium, and the nightly volcano show. The service at the Mirage is wonderful: truly the best in Vegas. Everyone from the check in staff, chefs, retail store employees, and concierge were beyond friendly and helpful. It really makes all the difference in your vacation to be greeted by friendly employees who are there to make sure you are satisfied and having a great time. 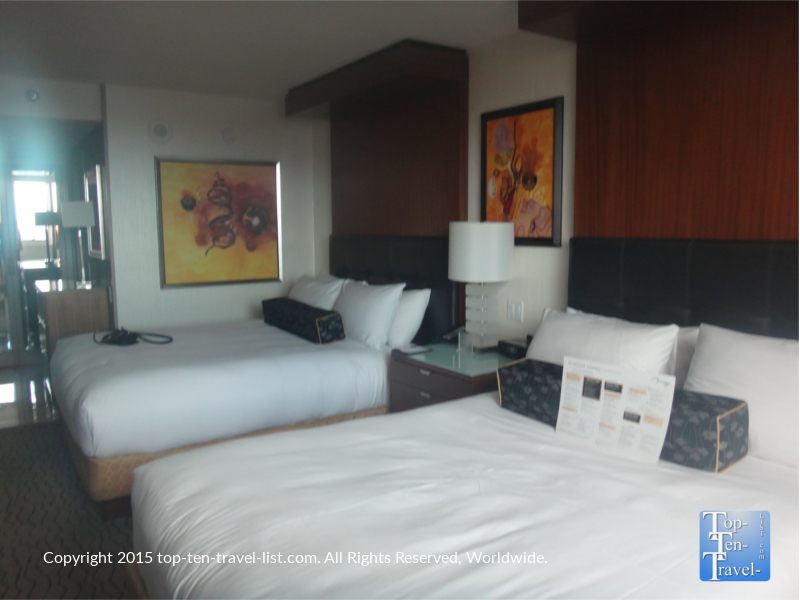 The basic rooms at The Mirage are pretty simplistic, although nicely decorated and modern in appeal. The Sealy Posturepedic Pillowtop beds are very comfortable, especially after a long day on your feet! 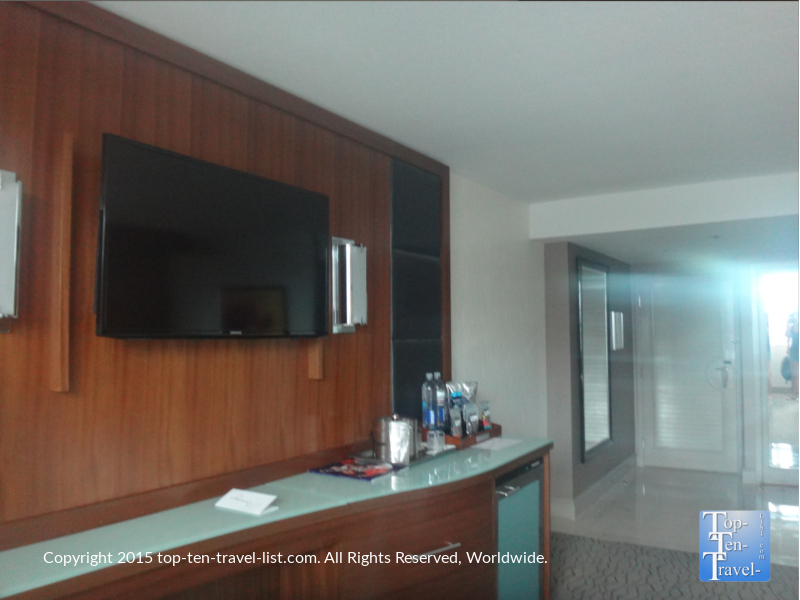 Other amenities include an LED TV, small desk, MP3 Player dock, and partial views of the Strip and pool area (some rooms). Restaurants – There are over a dozen dining options at The Mirage, from casual choices like the 24 hour Pantry restaurant and popular chain California Pizza Kitchen, coffee shops (Starbucks and The Roasted Bean), and higher end options like Tom Colicchio’s Heritage Steak and Italian favorite Portofino by Chef Michael La Placa. Basically, there are choices to fit every individual budget, dietary preference, and schedule. 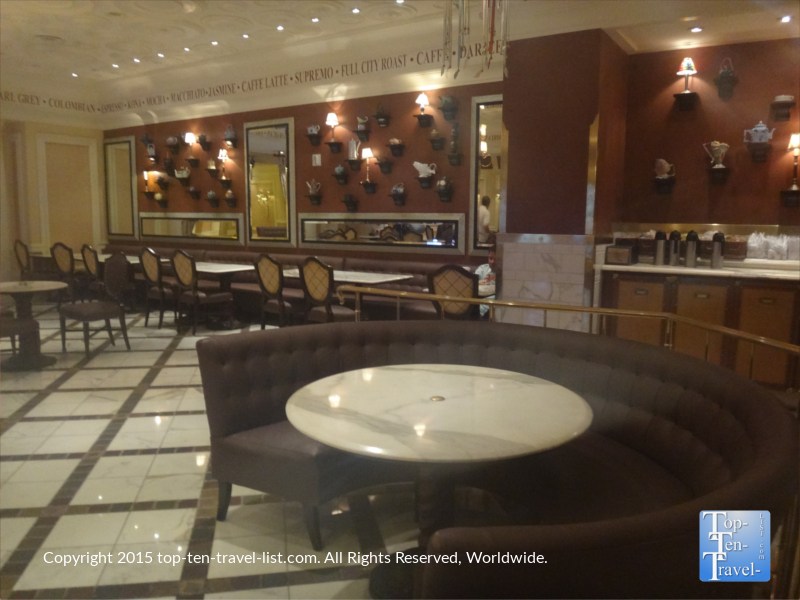 For a little bit of everything (anytime of day), check out the Cravings Buffet, offering 11 different international stations and unlimited beer and wine. The chefs are excellent at accommodating guests with specific dietary preferences and will gladly show you around the line to point out dishes without your preferred ingredient (gluten, dairy for instance). The chef even went so far as to create a few specialty dishes for us. The buffet is a great deal as you get to try out many quality dishes at one low price. As for your morning caffeine fix, The Roasted Coffee Bean is an excellent alternative to Starbucks. The lines are shorter, the seating area is less cramped and more stylish, and the espresso drinks are more delicious! Spa and Salon – A nature themed spa offering a full menu of luxurious treatments including facials, body treatments and scrubs, and massages is open from 6am-7pm daily. A co-ed fitness center offering unique classes lie Dolphin yoga is an interesting exercise alternative for traveling fitness enthusiasts. 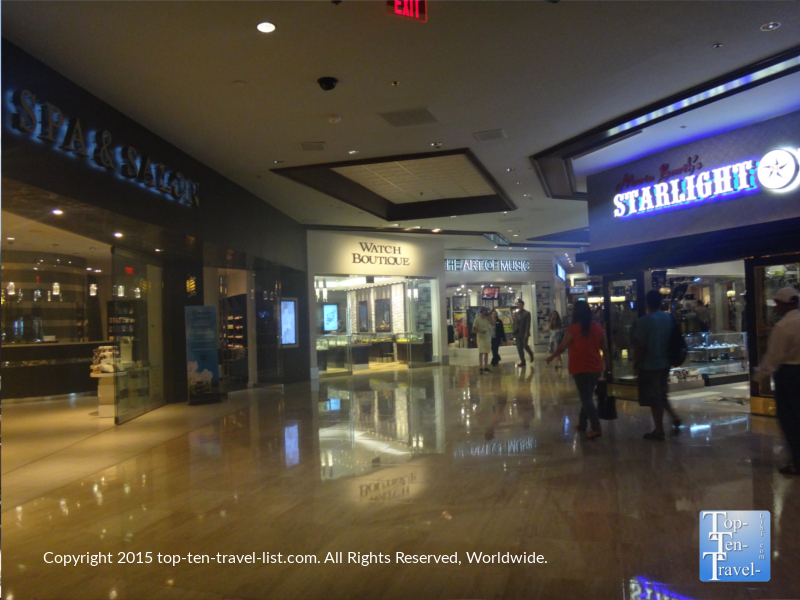 Retail shops – One of the nice aspects about the Mirage is that it is not loaded with too many shops like you see in many of the other casinos. The limited shopping area is classy and small, giving you a little to look at without being overwhelming. Here you do not have to walk between miles of shops and restaurants just to get to the hotel or casino, which is a big plus in my book. Who wants to spend all their time in Vegas looking at shops anyways? 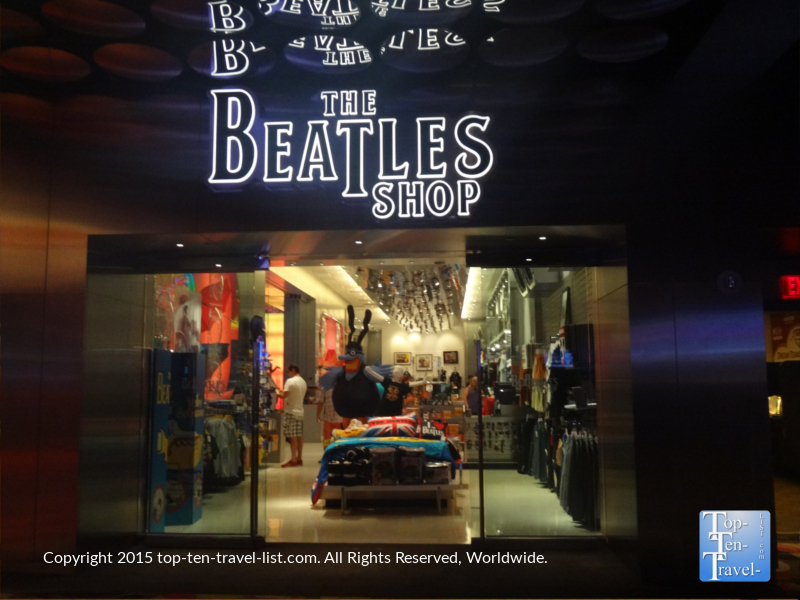 In terms of the shops available, The Beatles Shop, the only licensed Beatles retail store, is sure to please any fan, with its’ wide range of unique collectibles. You can find anything in here, from travel coffee mugs, magnets, pillows and blankets, even suitcases! 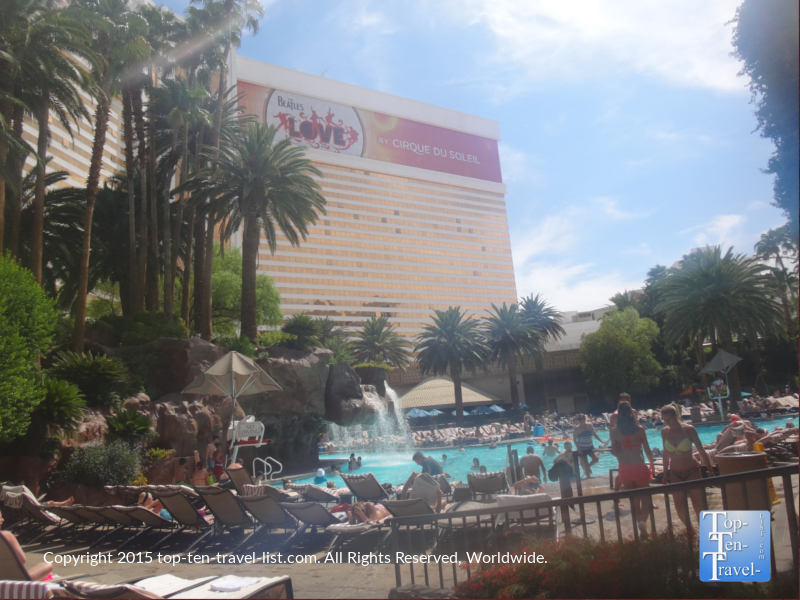 The Mirage Pool – The true advantage in choosing The Mirage is gaining access to the gorgeous pool area. Here you will find multiple pools, waterfalls, a hot tub, plenty of lounger chairs, and a pool bar, all surrounded by lush tropical landscaping. The many palm trees really make you feel like you are on vacation. The pool is heated all year, and surprisingly cool enough to enjoy a dip during the summer season due to the drastic temperatures differences between the air and water (if anything, the water feels a bit too cold!). Cabanas are available to rent by the concierge desk. The waterfalls combined with plenty of tropical landscaping combine to create the picture perfect vacation setting. 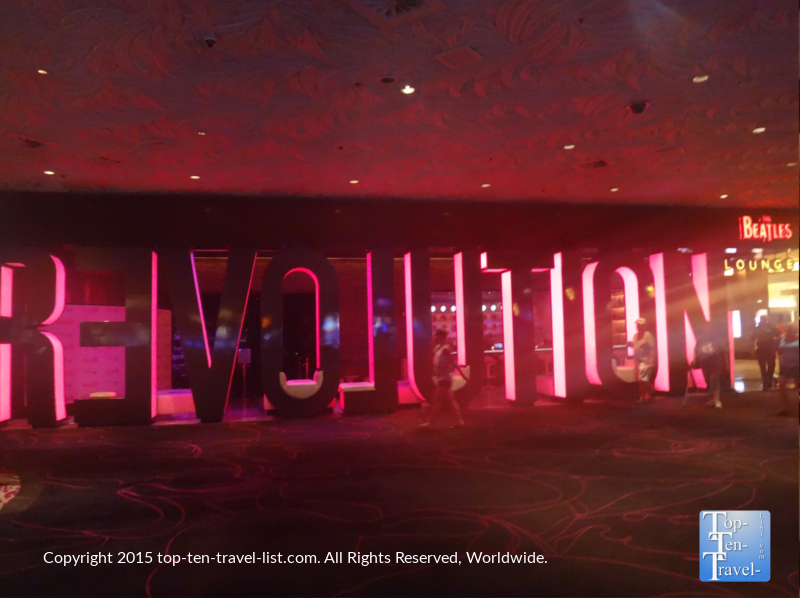 Nightlife – A variety of bars, including trendy options like 1Oak, a cool Beatles themed lounge called Revolution, sports bar, and a basic lobby bar give you plenty of choices during your stay, without needing to leave the hotel. 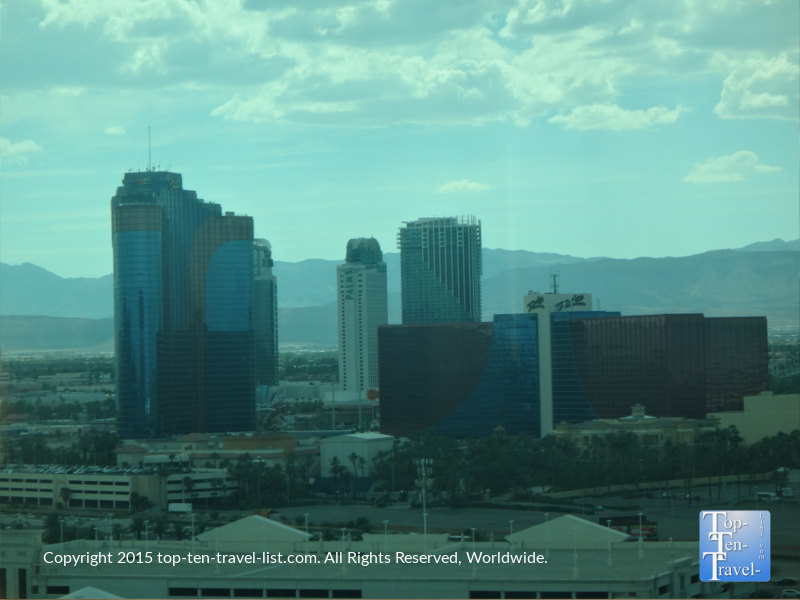 Casino – Of course, a trip to Las Vegas wouldn’t be the same without the many world class casinos. The Mirage Casino is just the right size, not too overwhelming. It maintains a clean and classy feeling. Here you will find the typical casino layout including table games, a high limit lounge, a slots, and a decent poker room. Shows – Of course, a visit to Las Vegas is not complete until you have booked tickets to a spectacular show. At least when you pay for a show, you actually get something for your money (unlike wasting money at the slots)! 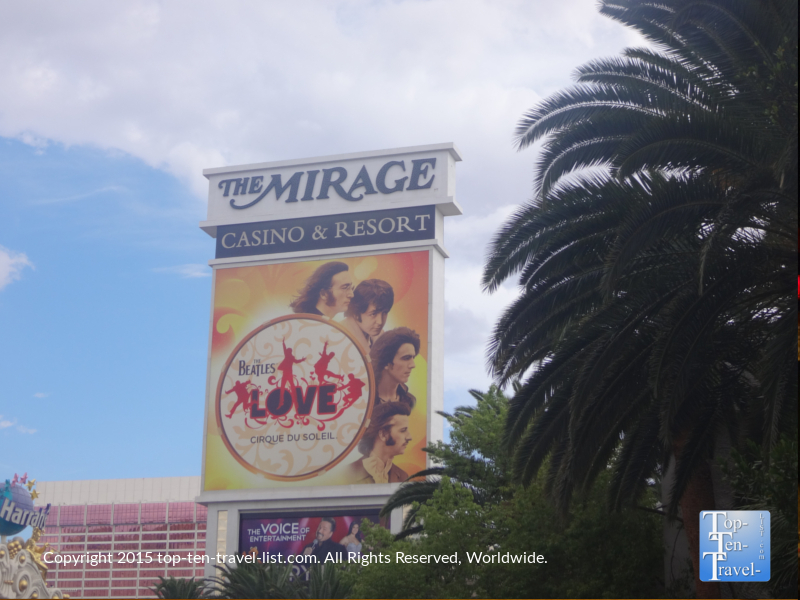 In Vegas, you will find an incredible variety of shows with options to suit every taste, age level, and budget: the Mirage is no exception with a variety of top notch acts on-site. 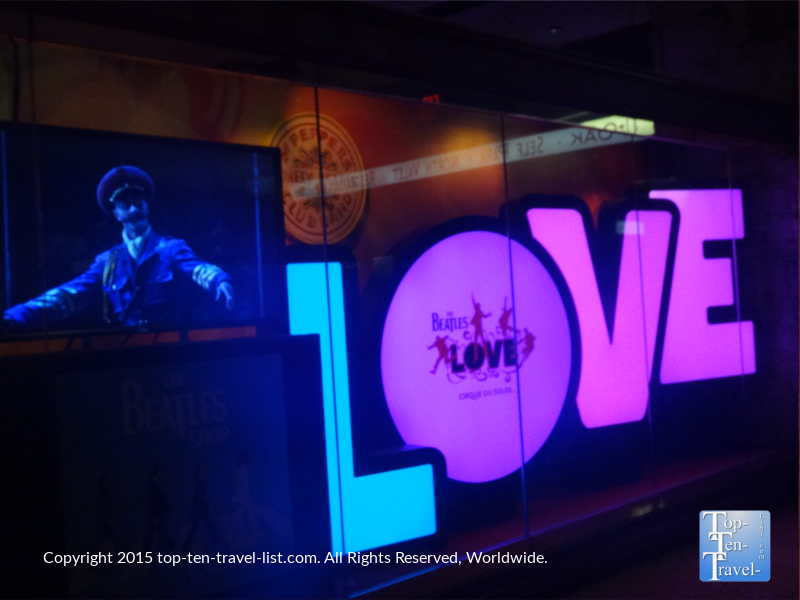 The Beatles LOVE – A unique Cirque du Soleil show featuring the Beatles music is a must see for fans and non-fans alike. Terry Fator – Anyone who watched Season 2 of America’s Got Talent will remember winner Terry Fator, an impressive ventriloquist who incorporates singing, impressions, and comedy into each of his shows. Aces of Comedy – A variety of popular comedians including Jay Leno, Ray Romano, Ron White, Tim Allen, and Daniel Tosh are on the lineup for the 2015 season. Boys II Men – The best selling and multi Grammy wining R & B group is now live at the Terry Fator Theater. 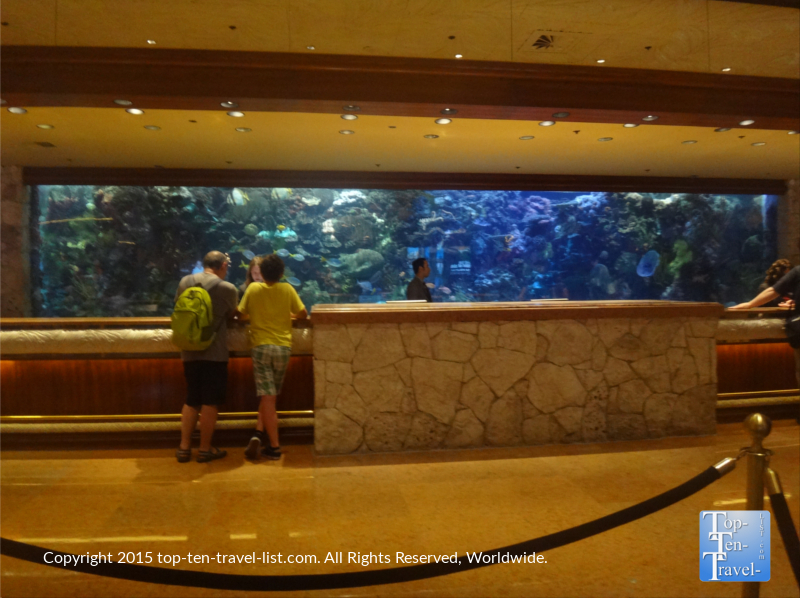 The Aquarium – While you are checking in or strolling through the lobby, you will notice the massive 20,000 gallon salt water tank. With over 450 fish of all different colors, the tank is quite beautiful, giving the Mirage the award for most gorgeous check in. You may remember seeing the tank in various movies, most notably National Lampoon’s Vegas Vacation. Siegfried’s & Roy’s Secret Garden & Dolphin Habitat – Here you will experience up close views of bottle nose dolphins, white lions, white tigers, and leopards. Special programs include painting with dolphins, dolphin yoga, and the opportunity to be a dolphin trainer for the day. The Volcano – The explosive volcano show, featuring the music of the Grateful Dead’s Mickey Hart, takes place at 8 & 9pm on Sundays-Thursdays and at 8,9, and 10 on Friday and Saturday nights. Don’t miss this exciting show – it’s one of the best on The Strip! 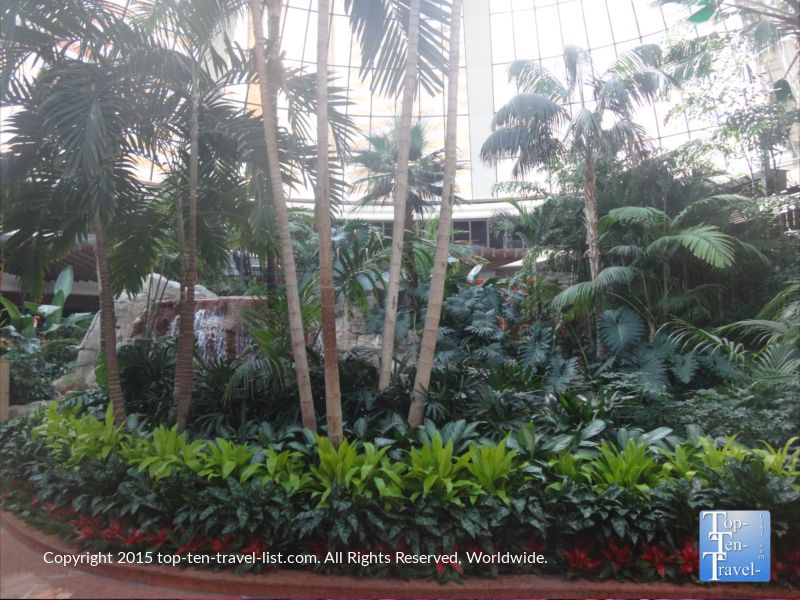 The Atrium – Tropical plants, palm trees, and waterfalls create a lush rainforest like setting at The Mirage’s beautiful atrium, located nearby the hotel entrance. 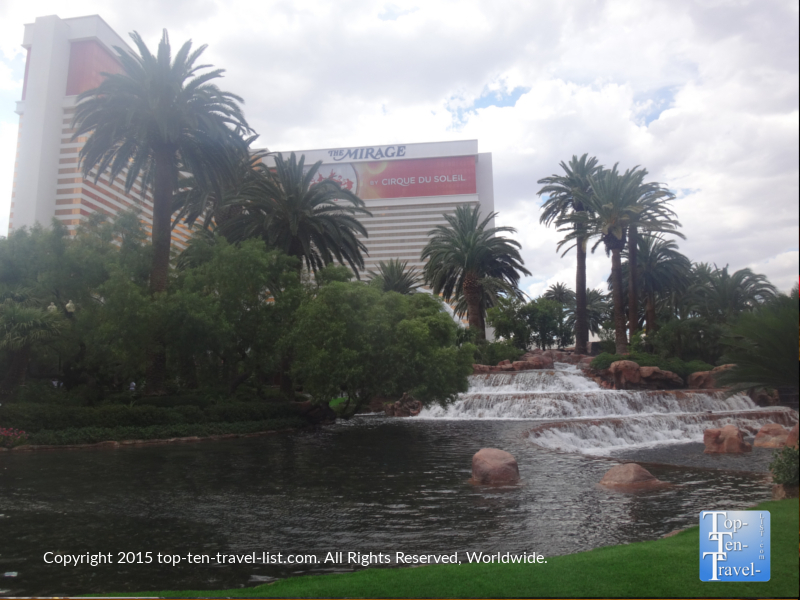 Overall, the Mirage is simply a wonderful choice for your Vegas vacation. It’s convenient to most other hotels, while also being home to many great amenities of it’s own. 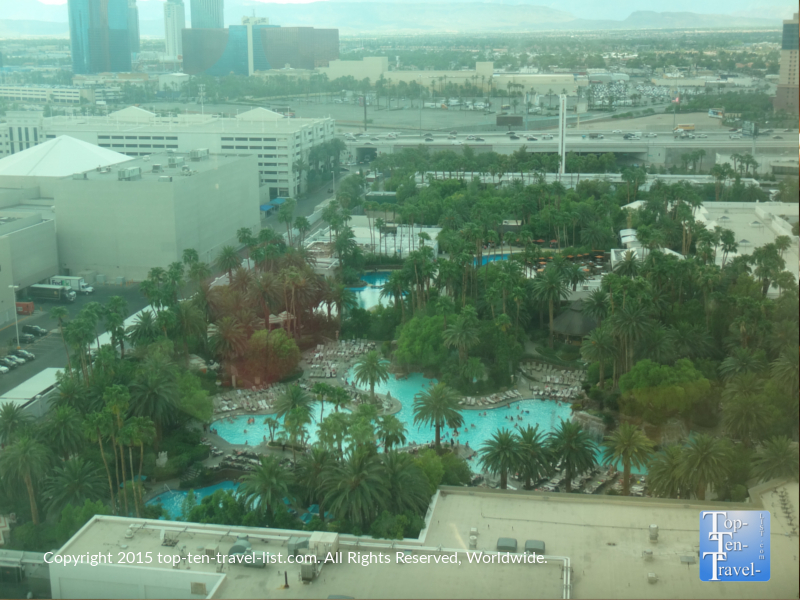 So even if you intend on staying at one hotel the entire time, you will find that The Mirage is a good choice due to the beautiful setting, easy to navigate layout, and wonderful attractions. The affordable prices, gorgeous pool area, attractive tropical theme, nice layout, and top notch service make it one of the best choices on The Strip. What more could you ask for in a Vegas hotel?